This is a delightful, unique gift that is perfect to give on any occasion. 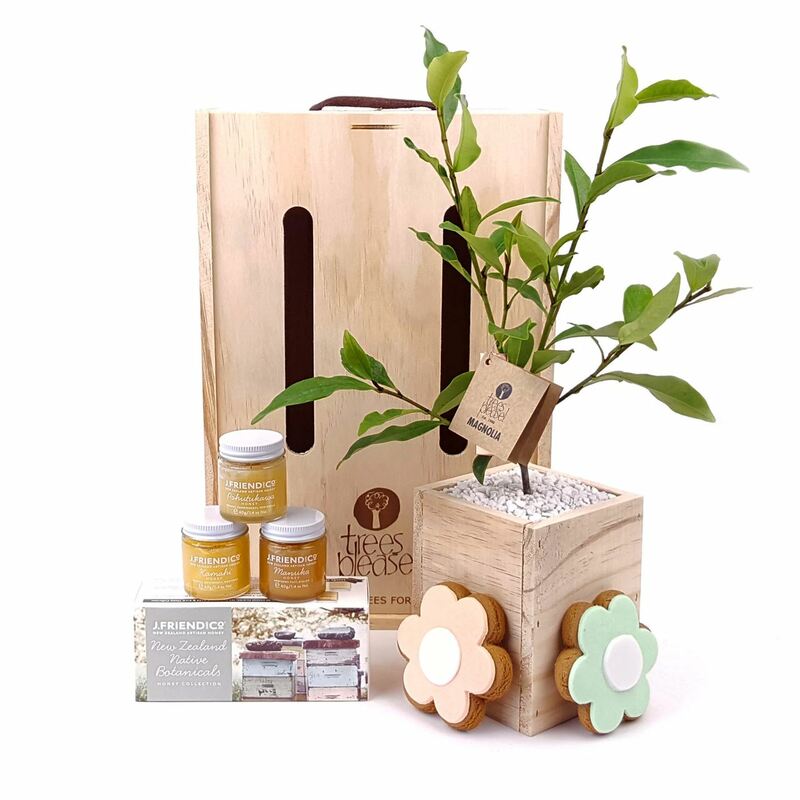 They will love the yummy New Zealand honey, tuck into the yummy cookies and cherish their tree forever. Sent in our specially designed sustainable pine gift box. J. Friend & Co Artisan Honey, a collection of three New Zealand Native Botanicals 40g each. Delivered in our purpose-designed wooden gift box made from sustainable pine.